More than half of the world’s population—three billion people—cooks their food indoors using open fires or rudimentary stoves. Indoor burning of solid fuels releases toxic pollutants including particulate matter and carbon monoxide. These harmful cooking practices cause an estimated 1.9 million premature deaths annually (Global Alliance for Clean Cookstoves, 2010). As the household members most likely to cook family meals, women and children are most affected. The reliance on biomass fuels in developing nations has put considerable pressure not just on the safety of families, but on the environment as well, increasing both deforestation and greenhouse gas emissions. In developing countries, families who rely upon wood for cooking have three ways of obtaining it. They can scavenge the areas where they live for firewood, purchase it from a firewood dealer, or grow their own. In most villages there is a lack of harvestable firewood in the surrounding area, and so most of the wood used is brought into the village and sold through a dealer. Those who cannot afford to buy firewood are often forced to travel several miles to acquire wood. Some families albeit few have obtained self-sufficiency by maintaining a living fence, or growing a woodlot near the family home. Lucy Akinyi is from Nyagbongo village, Kadero sub location in Kisumu East in Western Kenya where Carbon Zero is implementing an efficient cook stove project with over 10,000 cook stoves distributed. She is a mother of seven and a widow who is the main bread winner for her family. Lucy Akinyi immensely thanks carbon zero for giving her an improved cook stove that makes her work easier and cheap everyday in her life. She says that before getting the Carbon Zero stove she had been colonized by the three stone stoves, which compelled to spend a lot of time looking for firewood.She couldn’t get time to do anything else – she became a slave to the traditional stove! But now with the Carbon Zero stove she spends less time in the forests looking for fuel, the time she saves she is able to use it on farming activities. This has enabled her farm for both subsistence and commercial thus being able to get income to sustain her family and even take her kids to school. She says that the three stone stove was like a beast, consuming firewood so fast and demanding for more. This made her spend a lot of time looking for firewood hence not able o engage in income generating activities. 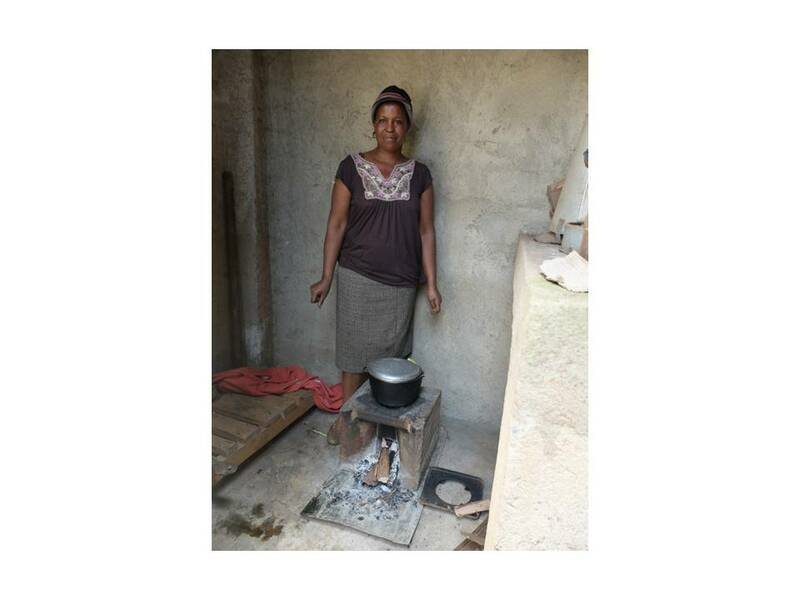 Lucy Akinyi says that carbon zero stoves cook very fast and uses less firewood giving her time to engage in other activities, which was a very different case before she got the Carbon Zero stove. She is glad that ever since she started using the carbon zero stove, her farm produce has immensely increased since she has had enough time to maintain her farm. I have recently returned from a visit to Kenya, where I spent some time with our team visiting some freshly repaired cookstoves in our project close to the Aberdares National Park. Our CZK stoves are renowned for being robust, however, if stove owners come across issues, they can communicate with our project officers who will arrange a repair if required. As all of our improved cookstoves are built locally, we are able to ensure availability of parts and also the skills required to fit them throughout the lifetime of the project. I spoke to a number of owners after they had their stoves repaired, and it was great to hear first- hand about how the CZK stove has been of benefit to them. Of course, it is important that an improved stove saves wood and reduces indoor air pollution, but an oft-mentioned additional benefit was that because our stove retains heat, it needs less tending. This means that the cook (usually the wife or mother) can multi-task – which is an important advantage when looking after your smallholder farm, collecting water and raising a family all need to be squeezed into your day. 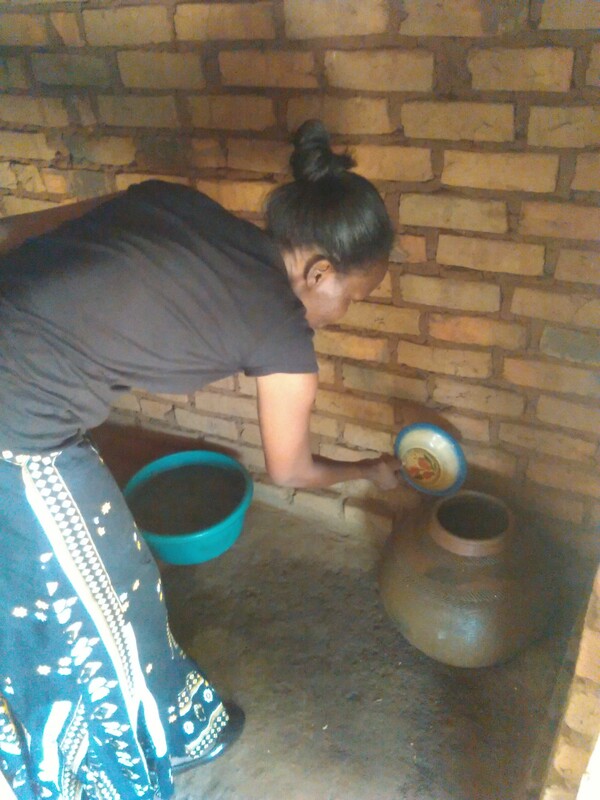 Rachel Njeri told me how she puts the CZK stove on a low heat and heads off to tend to her cows on her small dairy farm and returns to a ready meal. With the traditional stove, she had to come back to it a couple of times to check to the fire, so she says that using the CZK has freed up some much needed time for her. After visiting stove owners, we stopped off to visit a primary school to chat to the headmaster Joseph Njuna about the challenges his school faces. The school was eerily quiet, as teachers across the country are on strike following the Government’s refusal to honour a Supreme Court ruling granting them a negotiated 50-60% pay rise. The pay of Kenyan teachers – as in many other countries – is inversely proportion to the importance of their contribution to society, so lets hope the matter is resolved with the right result and pupils can resume their education soon. Despite the strike, Joseph came in especially to meet us and we learned that public (non fee paying) schools like his have limited and erratic government funding and often rely on parents chipping in if the budget runs too tight. 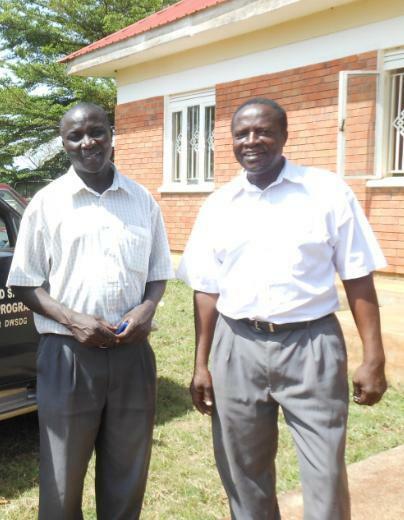 Technology such as improved institutional cookstoves and solar panels will help schools like Joseph’s manage their finances better by reducing their major outgoings. We are very hopeful to start attracting support for this kind of added impact within our projects over the coming months. Overall – and as usual – it was an excellent visit and I would like to thank Moses, Charles, Virginia, Lilian and Martin (pictured) for their tireless hard work on our projects and for making me feel very welcome. 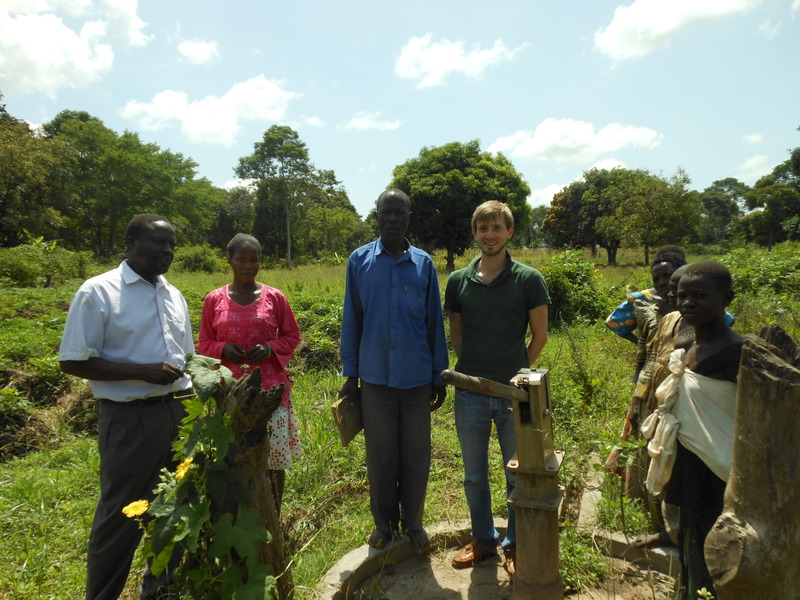 Most rural areas in Uganda typically use wood fuel on inefficient three stone fires to purify their drinking, cleaning and washing water. This process results in the release of greenhouse gas emissions from the combustion of wood – this can be avoided if a technology that does not require wood fuel supplies clean water desired by households. Water is our lifeline and a resource we can’t do without as it is essential for all dimensions of life. 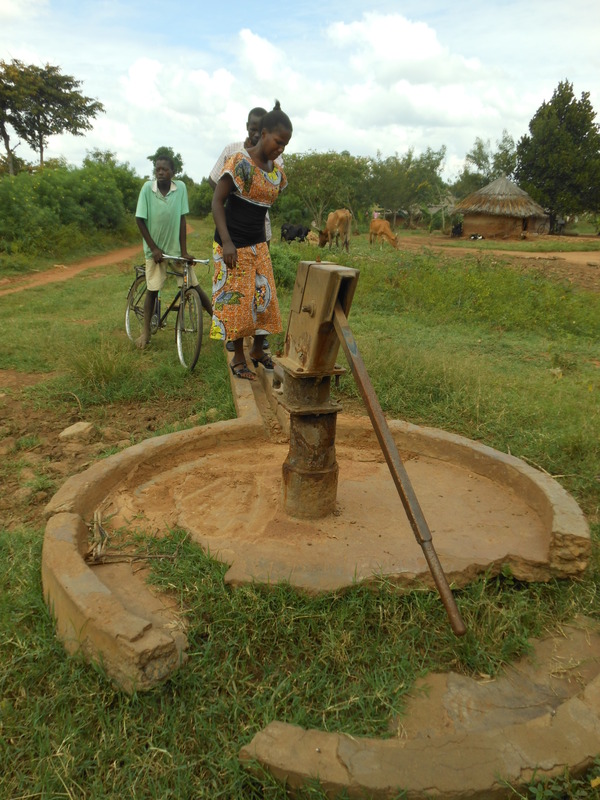 Co2balance rehabilitated 10 boreholes to provide clean safe water to the local communities in the rural areas of Kaliro District. 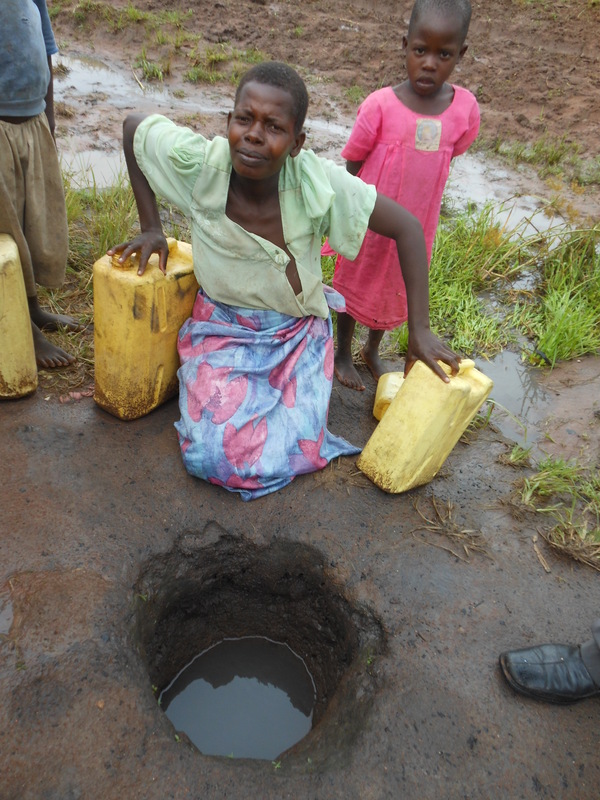 With the support of Women Alliance and Children Affairs (WAACHA), a local NGO in Kaliro District in the Eastern part of Uganda and other stakeholders, they have continued to ensure that the project constantly provides clean safe water to the community by doing timely repairs. 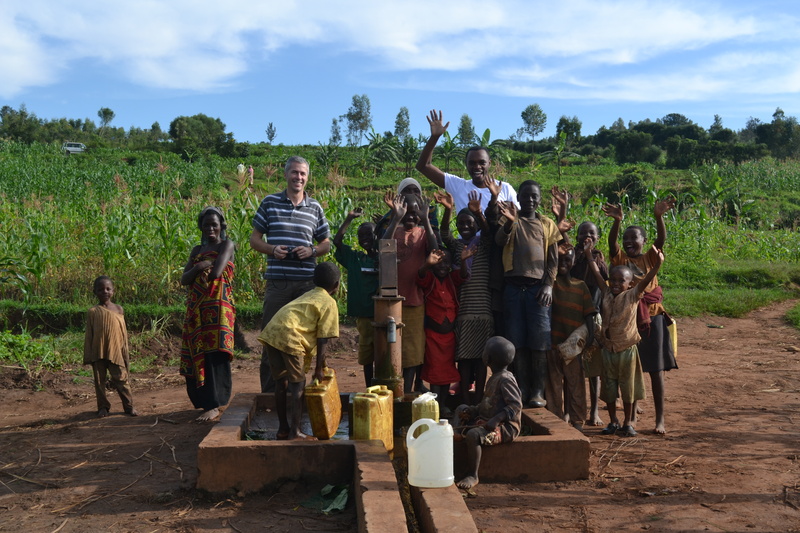 The project supports the provision of safe water using borehole technology to hundreds of households within Kaliro district. By providing safe water, the project ensures that households consume less firewood during the process of water purification and as a result there shall be a reduction of carbon dioxide emissions from the combustion process. Accessing clean safe water is one thing but going an extra mile to ensure that this water is not contaminated is another. Water from many boreholes is contaminated because of lack of knowledge on efficient borehole maintenance by the community. 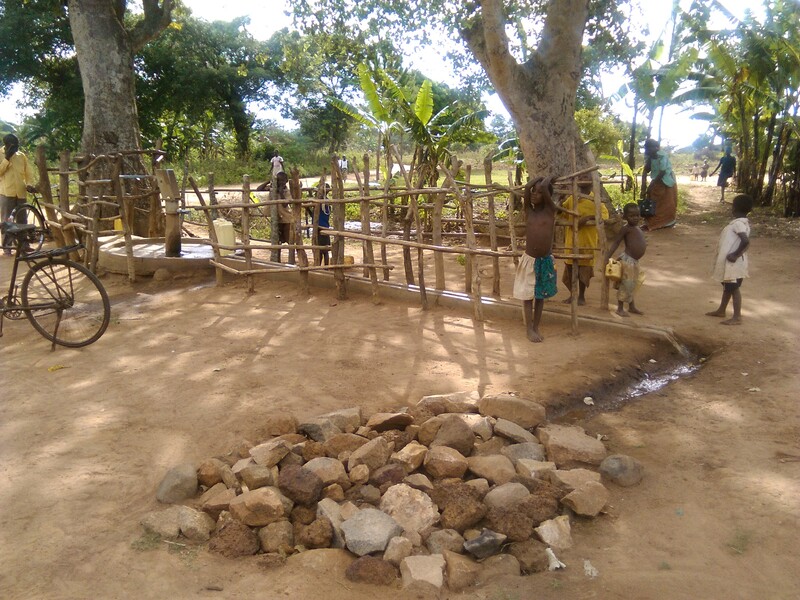 Even when the water source itself is safe, water used for drinking is often contaminated because of poor water-handling practices and unsafe storage, therefore effective and continuous WASH sensitization of the communities is important. Issues like storing their drinking water safely, washing their hands before preparing meals and after using the toilet are often ignored yet it is a very important component. Traditionally, communities in rural areas store their drinking water in clay pots and they see this as the safest way to keep this water from getting contaminated. Water, Sanitation and Hygiene (WASH) sensitization/training is one of the components of the Co2balance borehole rehabilitation project. 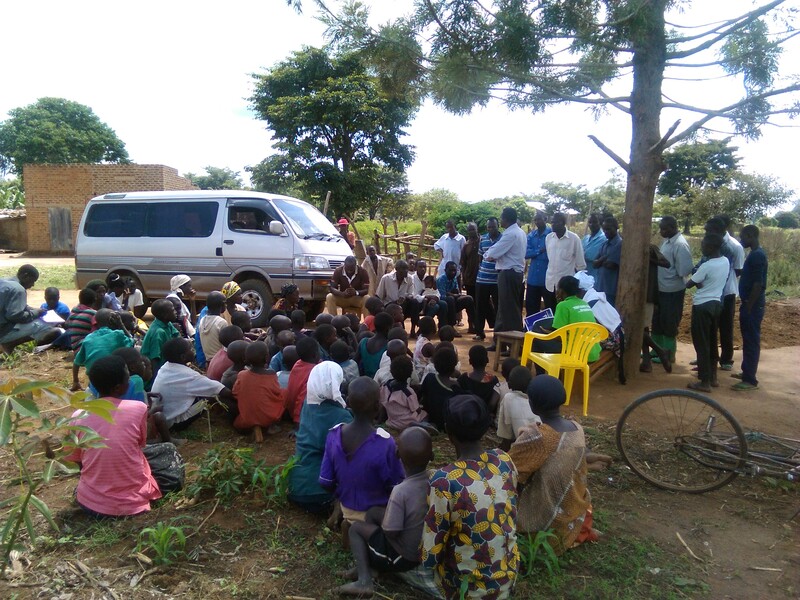 We (in collaboration with our partners WAACHA) were able to carry out a WASH training in Kaliro on the 17th and 18th of September 2015 and this was purposely a refresher training for the community on the importance of improved health, reducing the incidence of water and sanitation-related diseases. 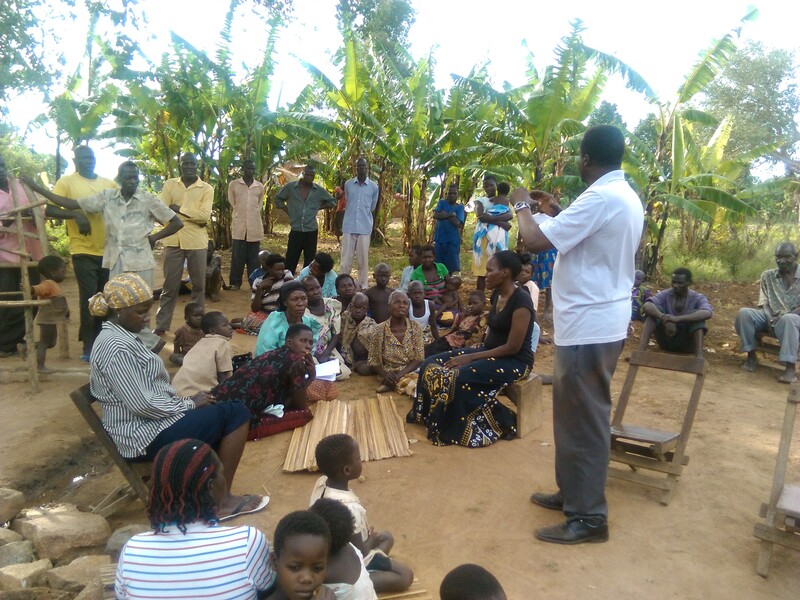 During the training, the community was urged to maintain and keep the surrounding area of the borehole clean, dig proper soak pits, avoid stagnant water around the boreholes, install well-designed fencing and ensuring that all surface water sources are protected from human and animal contamination. Also a minimum safety distance of over 30 meters between any latrines and boreholes was emphasized so as not to contaminate the water base. This week has seen the launch of “Climate Neutral Now”, a new initiative launched by the United Nations climate change secretariat that encourages individuals and organizations to measure their climate footprint, reduce their emissions as much as possible and then offset their remaining emissions. The campaign has been sprinkled with some Hollywood star dust, with celebrities like Edward Norton and Vivienne Westwood and champion companies like Microsoft, Adidas, Sony and Marks & Spencer join the UNFCCC to call on everyone to join Climate Neutral Now. 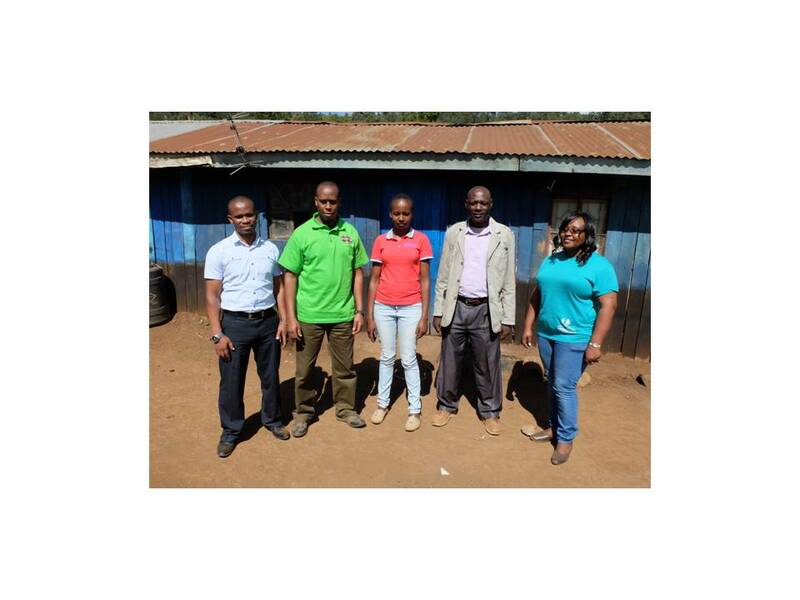 Carbon Zero Kenya Ltd has continued with the mission of promoting use of clean energy and improving community livelihoods. In the Mathira East project, the company has continued to advocate and champion adoption of clean energy not only for campaigning against green house gases emission but also improving the lives of the community economically and socially. 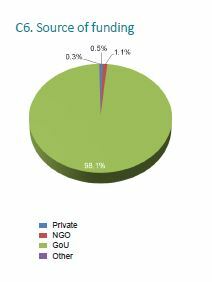 Among the notable aspects of the CZ stove that makes many beneficiaries praise it is in its great ability to save fuel. In the area, wood fuel is a scarce commodity. The cost of wood fuel has risen as more and more forests get cleared as families seek to alleviate the problem of firewood shortage. There seemed to be no refuge in the near future for the community members. However, they have found just what they needed, the CZK stove. In one of the many success stories in the area, one afternoon we meet Miss Nancy in her home. She was just preparing to the well known routine of firewood preparation for the family. She narrated her story of a courageous girl whose determination would be easily missed by just looking at her face. ‘Naitwa Nancy,kifungua mimba katika familia ya watoto watatu.Majukumu yangu ni kuwatayarisha wadogo wangu kwenda shule pamoja na kutafuta kuni za kupikia na kuchemsha maji ya kuogea.Awali ilikua vigumu kupata kuni za kutosha hasa mwezi wa saba na nane kunapokua na mvua na baridi nyingi, kuni zinakua baridi sana.Nawashukuru kwa hii jiko mliotupatia kwa kua inatumia kuni kiasi na kuniwezesha kufanya kazi yangu kwa haraka na kupata wakati wa kutosha kusoma’. She is the eldest of her three siblings. She is in form four and by the end of this year she is awaiting to sit for her certificate in secondary education examinations. Her parents are busy people. Her mother usually leaves at the strike of dawn and returns in the late hours of the evening in trying to make the ends meet for the family. Being the eldest girl, she has to take responsibility of preparing the other siblings to get ready for school. In the evening she has to assume the mother’s role and prepare the households firewood for the evening. On numerous occasions, when the mother is very late, she has to prepare the evening meals for the family. This seems a very big challenge to a young girl. She says the family depends mainly on collected firewood to supplement some of the fuel the family manages to purchase. Therefore, after school hours she has to take care of her tight schedule before darkness. She continues to tell us of her challenge when using the traditional 3 stone stove. She says the stove, used a lot of wood fuel to prepare a single meal. Most of the times, the stove would exhaust all the wood fuel she and her siblings had collected. This would leave them with no fuel to prepare breakfast in the morning. In addition, they would have to endure the chilling cold water in the morning to take bath. But all that was about to change, and change for the better with the arrival of the CZK stove. A daily routine in collecting wood fuel has been reduced to 3 days in a week. She says that the evening are nowadays more manageable, all she has to do is take care of her siblings, and a tiresome task of preparing meals has now become more enjoyable. By dusk the family is settled and she can find time to study and maintain good performance in her class. As she happily smiles, we can share in her happiness in realization of how the CZK stove has greatly contributed to improving the lives of the many community members.